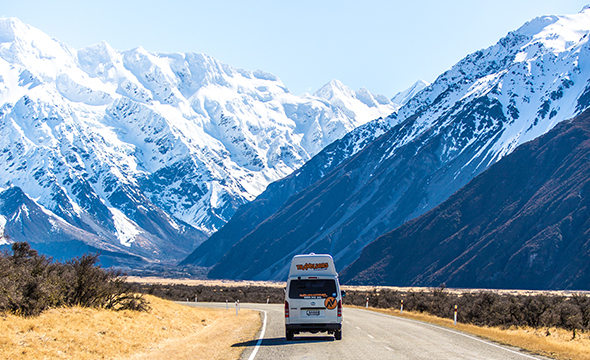 A campervan road trip from Christchurch to Queenstown is a must-do for any South Island trip. You can explore the beauty of New Zealand’s rugged natural beauty and freedom camp under the stars on the way. There are many ways to navigate your way between the two cities, all depending on what you would like to see and at what pace. 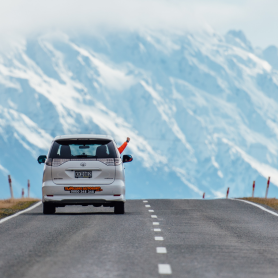 Here are three different routes to consider when you travel from Christchurch to Queenstown. If you are wanting to get from A to B quickly, the fastest route is through the middle of the island. It will take you around 7 hours direct, but there is a lot of beauty on the way to stop and see. 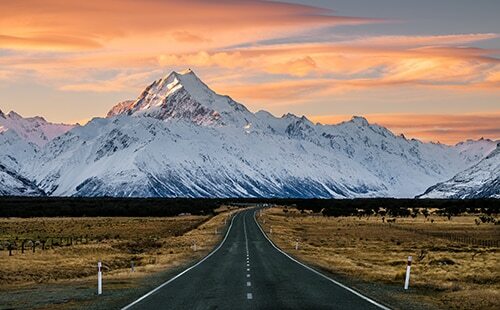 A small detour up Mt Cook Road will lead you to the beautiful Mt Cook National Park. Here you can take one of several amazing hikes or bushwalks, or simply take in the natural beauty of the mountainous region. 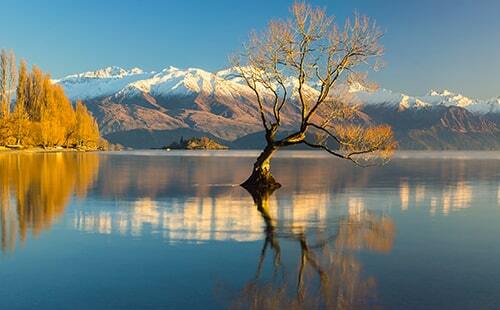 You can visit some of the most beautiful lakes in New Zealand, and take a dip in the summer months. 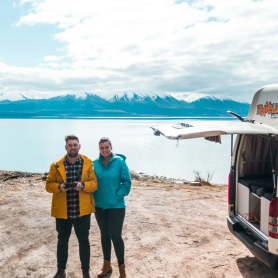 Visit Lake Tepako for dazzling stargazing, Lake Hawea for a swim with a spectacular backdrop, and Lake Pukaki to freedom camping with a view of Mount Cook. 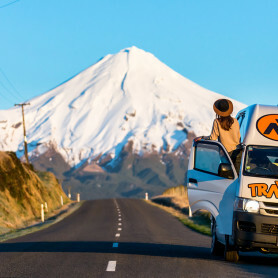 This route will curve around the bottom east coast of the South Island, stopping at some memorable places along the way. First, head down to Dunedin, a region of unique cultural history and quirky vibe. Dunedin is the second largest city in the South Island, and as it is a university town, it has a lively cafe and bars culture with plenty to do. You can go surfing at St Clair beach or take the amazing walk to Tunnel Beach to view the spectacular sandstone coastline. 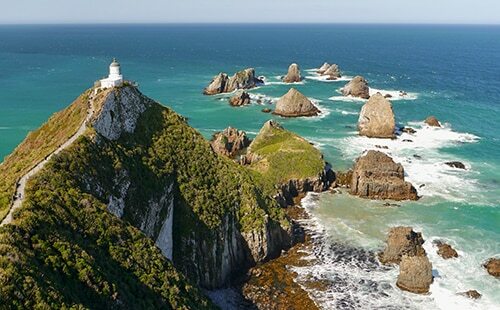 Along the way to Catlins National Park, other highlights include Nugget Point Lighthouse and staying the night at Purakaunui Bay campsite. You can see seals playing in the water at both of these locations! The next stop before heading to Queenstown should be the Catlins National Park. Within the thick green forests, you’ll find many stunning waterfalls and lakes, extending out to even more beautiful beaches and rugged coastline. The west coast South Island trip is probably the most popular between Christchurch and Queenstown. It contains some of the most popular tourist sites and brings views of glaciers, mountains, and national parks. 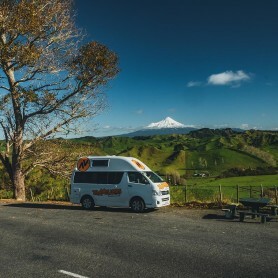 Take the road through Arthur’s Pass to witness the waterfalls, viaducts, bridges and rock shelters along the spectacular beech forest. You can also spot one of New Zealand’s most famous birds, the inquisitive kea parrot, along the way. Next along the road trip, stop off at Franz Josef Glacier and national park, the spectacular World Heritage area. You can explore the natural attraction by foot, from a lookout, or even take a guided glacier hike if you are feeling adventurous. On your way to Wanaka, you will drive over Haast Pass, one of the most scenic drives in the world – make sure you schedule some time to see the beautiful Blue Pool here. When you arrive in Wanaka, you can spend hours (or days) relaxing by the lake, eating at great cafes, and enjoying the charming culture. Then make your way through the winding hills to your final destination, Queenstown.